Providence PlayCorps: Old Play Structures? New Ideas. Old Play Structures? New Ideas. PlayCorps sites include parks with well known playground equipment, such as jungle gyms, slides and monkey bars. Kids enjoy the playgrounds, but there's also a sense of "been-there-done-that" a lot of the time. At GENERAL ST PARK, play leader Emily began to wrap some rope around the exterior of one of the climbing structures. 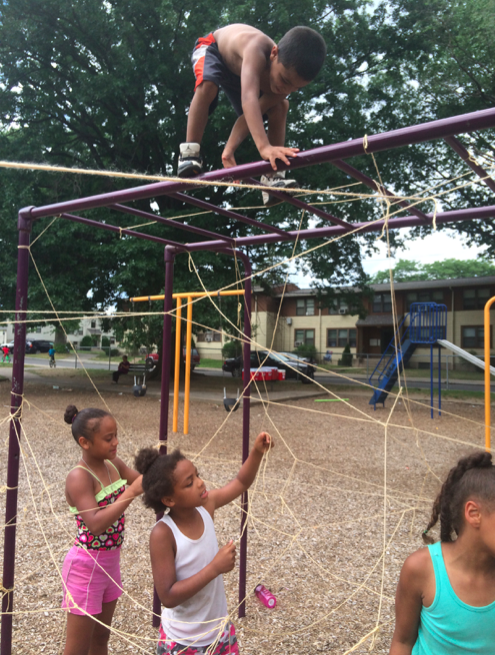 The kids quickly intervened, and they interwove the rope among the structure’s interior until it took shape as a giant spider web that the kids could play in. The children took this construction project very seriously (as any spider would), making sure all knots were tight and all strings evenly dispersed. One day at BILLY TAYLOR PARK, the PlayCorps team was told by some kids that they had to climb up the slides, and that their lives depended on it! Naturally, they climbed up, and it turned out they had entered a flying castle. The team, partnering with the kids, slowly built the castle from the inside out, connecting it to a nearby existing rope play structure. 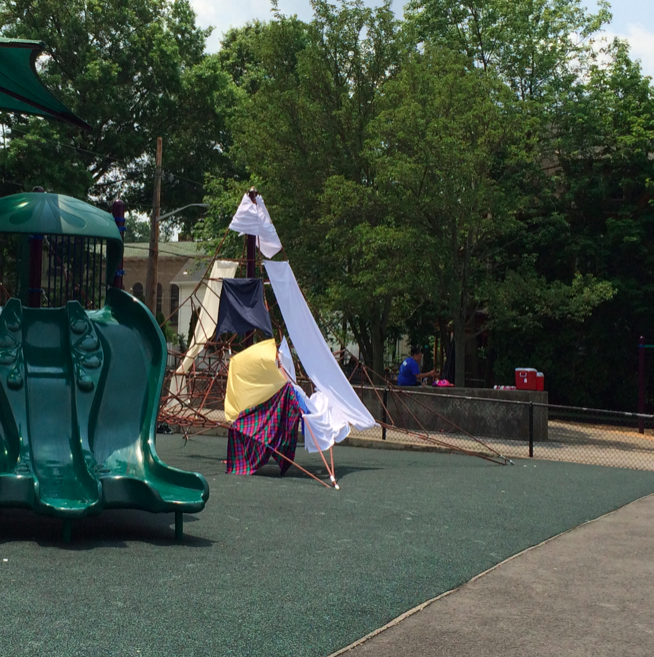 With the help of the PlayCorps team, kids at CAMDEN AVE PARK turned a large section of their playground into an elaborate fortress with multiple hallways and rooms using boxes and fabric. Many games and stories developed, with various kids becoming prisoners, ship captains, kings, and spies at different times. 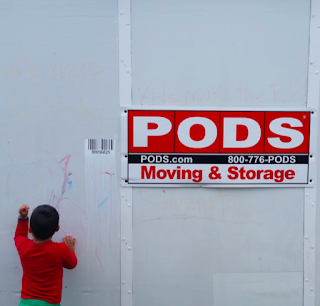 Kids even took up some paint, pencils and crayons, and they decorated the boxes – inside and out. At WALLACE ST PARK, instead of blowing bubbles, the kids insisted on washing the PlayCorps team’s materials storage pod (in order to create a clean canvas for chalk-painting later in the day). 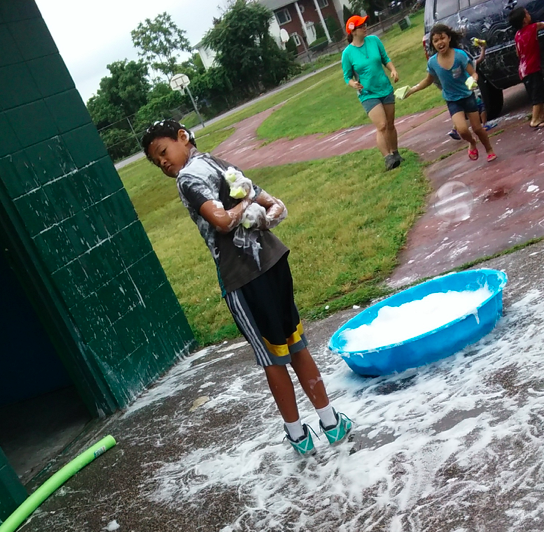 After they were done washing the pod, they asked play leader Tina if they could wash her car. 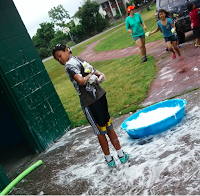 Where many people working with children would draw the line, PlayCorps staff usually deliver the line, “yes.” Tina drove her car around, and the kids delightedly suds-ed it until it was time for lunch. What creative things have you seen children do with existing playground equipment or other features in the parks? Leave us a comment below!